Whole life management of complex engineering systems such as infrastructural assets poses huge challenges due to factors such as their criticality, complexity, longevity, the catastrophic consequences of their failure and the huge costs associated with their management. Furthermore, there is added pressure from regulators and governments to manage the whole life of infrastructure assets safely and efficiently. There is also increasing pressure to move towards performance based design, improve construction productivity, deliver projects on time, and incorporate the use of smart materials. However, there is a lack of understanding in terms of estimating the condition of civil infrastructure, and therefore in minimising the uncertainties of degradation of these assets. 1. Which condition monitoring strategy to choose in order to minimise risk and cost? 2. What are the benefits of the strategy and how to determine those? 3. What are the factors that influence the benefits offered by each system? 4. 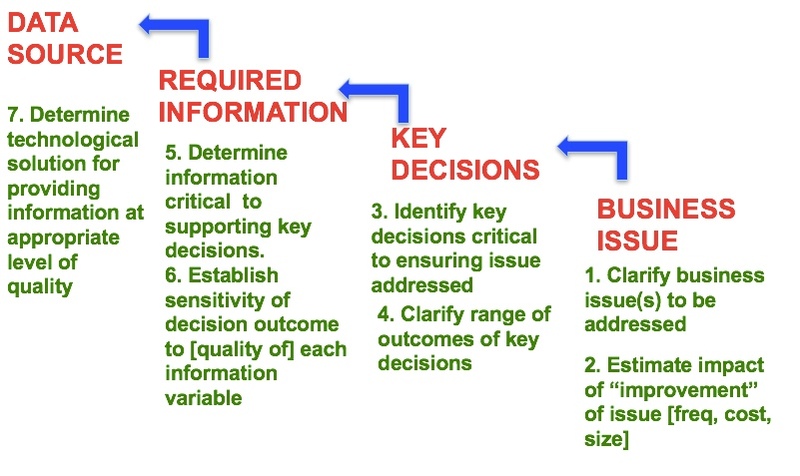 Under which circumstances does each technique deliver value for the decision maker? We propose a top-down approach for understanding the value of a sensing strategy. First, the strategic business issue is defined, such as ‘Can the service life of this bridge be extended?’. This is then described in terms of the key decisions with which it is associated, which may include ‘Is remedial action required?’, or ‘Are traffic restrictions necessary?’. Supporting information required to make these decisions is then identified (such as ‘How much is the deck deforming during high winds?’), before finally the various data sources which meet this need are considered. Mukai, T., Tomasella, M., Parlikad, A.K., Abe, N., Ueda, Y., “The competitiveness of condition monitoring of residential PV systems: a model and insights from the Japanese market,” IEEE Transactions on Sustainable Energy, Volume 5, Issue 4, pp. 1176-1183, 2014. Srinivasan, R., Parlikad, A.K., “Value of condition monitoring in infrastructure maintenance,” Computers and Industrial Engineering, Volume 66, Issue 2, 2013, pp. 233-241. Srinivasan, R., Catton, P., Parlikad, A.K., McFarlane, D.C., “Condition monitoring for infrastructure assets: Building the business case,” In Proc. 3rd IET Asset Management Conference, London, Nov 2013. Parlikad, A.K., McFarlane, D.C., “Quantifying the impact of AIDC technologies for vehicle component recovery”, Computers and Industrial Engineering, Volume 59, 2010, pp 296-307.